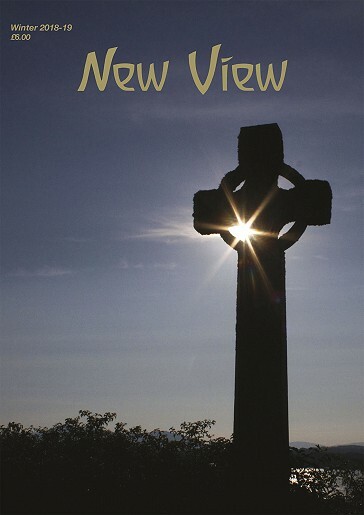 Welcome to the Holy Nights issue of New View at another turning of the year. This issue is prepared as we come towards Christmas, a time of year that has increasingly become less connected to its origins for many people. The notion of giving gifts and feasting and having a good time at this festival has moved some distance from the original meaning of the gifts that came to the Jesus child from the Shepherds and the Kings. The mystery of Christmas, overlaying the pagan mysteries of the turning of the seasons, has rather disappeared under the weight of expectation, perhaps epitomised by the figure of ‘Father Christmas’. Of course, the notion of a benign old man dispensing gifts, especially to children, seems kind enough, but the meaning of Christmas is much more than this, and what of the ‘Mother’? Those who have met Rudolf Steiner’s insights regarding two Jesus children, the one, then the other, celebrated at the beginning and end of the Holy Nights with the shepherds and the three Kings, and lived with these thoughts, supported by the stories in the Bible and tried to penetrate the esoteric meaning of these events that then lead to the First Easter and the happenings for the adult Jesus Christ, cannot but wonder at the gap that has appeared for humanity in the understanding of the origins of these Holy Night events. In London, those who travel on the underground system, ‘The Tube’, are constantly being reminded to ‘Mind the Gap’ – between the train and the platform edge – as they alight from the tube train. So to be aware of the gap in awareness of Christmas and the journey through the Holy Nights to the Three Kings Festival on January 6th (still celebrated in Europe, but not recognised in Britain and the West) is something to be ‘minded’ about. To go back to the root, the origin, of something to seek understanding is a real deed that can resurrect its true significance. Our Holy Nights issue begins with Michael Steward looking at the Sacred Feminine in Sophia and the Arc of Hope. Nicola Graves-Gregory then shares a personal picture of her journey, especially minded of gender, on her spiritual path in Through Mary to Christ Jesus. Jonathan Knight writes from the island of Mull, Scotland, about a gathering together of folk on various spiritual paths in The Iona and Mull Summer School and the Inspiration of the Celtic Cross and ponders on thoughts arising from this yearly event. Renatus Derbidge, himself a participant in these Summer Schools, opens out a picture of the Hibernian Mysteries in The Iona Impulse: Rudolf Steiner and the Western Mysteries. Having recently attended a performance of one of Rudolf Steiner’s mystery plays (he wrote four of them), Jane Campbell Brewer shares her thoughts in The Souls Awaken – An appreciation of The Fourth Mystery Drama by Rudolf Steiner, Performed by The Stroud Mystery Drama Group. Here the working of the spirit into daily lives is revealed. In A Letter to the Most Illustrious the Contessina Allagia degli Aldobrandeschi Michael Steward makes a second contribution to this issue of New View transforming into verse form a letter written by a priest to an aristocrat on Christmas Eve 1513. Maria Lyons shares her concerns for the plight and future of children in Childcare Policy and the Economy. Frances Hutchinson, then explores The Social Question in relation to the economy and in particular the context and role of women and family in human community. Jeremy Naydler raises awareness for what is rapidly coming towards global humanity and asks vital questions in 5G: The Final Assault about developments in the electronic industry that few will be aware of, but the consequences of which will be far reaching. With Britain’s Prime Minister trying to lead an exit strategy from the European Union, Terry Boardman gives more context and historical background to the situation in Brexit as a Spiritual Question: Why the EU is the Wrong Direction for Europe and the Modern Age. Maarten Ekama then concludes his mission to understand the mystery of Atlantis in Searching for Atlantis – Part III: Rudolf Steiner and Atlantis. And finally Crispian Villeneuve offers a wealth of research concerning The Destiny of the Soul Calendar, Steiner’s collection of 52 verses to accompany the passage of the year. Steiner said about the anthroposophists of his time that they ought to be “well informed”, but that is valuable for us all. Quite a challenge in this day and age with so much ‘information’. To be able to sift through it all and discriminate what is important and not important to act upon is the task before each of us. We should encourage one another in this.